Sure, we’ve all made New Year’s resolutions. I too have promised myself that I would start eating healthier, join a gym, and finally organize that hallway closet on January 1st only to have my goals fall short. Rather than making individual resolutions this year, consider making resolutions as a family. Sit down together to brainstorm things you can all work on and post them somewhere in the house as a constant reminder. Help hold each other accountable by setting dates throughout the year to revisit your family resolutions and asses your progress. Below are 5 suggested resolutions to get your family on the path to a happy and healthy 2017. Less Screen Time. If you look around and notice that your teenager is Snapchatting, your other child is playing Minecraft and your spouse is checking Twitter for the latest news all while you’re checking the final score of last night’s game on the ESPN app, your family may need less screen time. Make a pact to spend less time on your phones. No electronics after 7pm, for example, will allow for more face-to-face interaction. Many studies have shown that children’s social and communication skills are negatively impacted if they spend too much time on electronics. Get Moving. If your family spends more time on the couch than on their feet, it may be time to get more active together. Look into fitness classes or team sports at your local park district. Go for walks through the nearest forest preserve as a family if the weather permits. Look into investing in pedometers or fitness trackers for each family member as a way to encourage some friendly competition. Consider fun challenges, like whoever gets the most steps in a day gets relieved of cleanup after dinner that night. Save Money. Learning the value of money is helpful even for younger children. Whether it’s your 3rd grader earning an allowance for doing chores or encouraging your teenager to seek a part time job, teaching the value of money and encouraging saving is important. Set a good example by reviewing your own finances. Setting financial goals, reviewing your life insurance policies, or setting up college savings accounts are just a couple things to do to ensure your family’s needs are being met in the future. Worry Less. Think about what worrying has done for you. Has it helped solve a problem? Prepare you for the worst? Make you feel better? I’m guessing the answer to all of these questions is no but yet many of us spend precious minutes every day worrying. When you notice a family member worrying, allow them to talk through their worries but help them to use their time in a more positive or productive way. Get a Hobby. Spending less time on electronics may result in your children (or yourself!) feeling bored. Hobbies may include anything from do-it-yourself home projects to playing an instrument or learning another language. Encouraging hobbies to do either individually or as a family will help fill the time typically spent online. Trying out a couple different hobbies may even result in a new passion or undiscovered talent for one of your family members. These are just a few ideas for resolutions to help your family grow throughout the year. On behalf of Gurnee Counseling Center, I’d like to wish you and your loved ones a Happy New Year! Please keep in mind that if your family could use some help setting goals, improving communication or reducing conflict, our staff can help. Contact us at (847) 336-5621 for more information. To address this dilemma, Holy Cross Lutheran Church in Libertyville holds its annual “Blue Christmas” service on Sunday, December 11, 2016 from 7:30-9:00 PM. The service, open to anyone from any faith background, is a warm and welcoming chance to gather with others who are in need of a place to honor their loss(es) and help find some perspective and peace during the holidays. The spectacular Holy Cross sanctuary is bathed in soft lights, with music (their world class pipe organ, piano, cello) and song for a service that is down to earth, reassuring and hopeful. The “Blue Christmas” honors our struggles with the passing of a loved one, loss of job, home, marriage or health – offering ample opportunities to quietly remember and reflect. Participants may choose to attach the name of a loved one to the “Jesse Tree,” light a candle, or place a stone in “holy water” as symbolic ways to acknowledge the continued importance of their loved ones, objects or relationships in their lives. I attend this wonderful service every year. Some years it’s been a part of my healing from a significant loss. Other years, I have attended to support someone else who has needed to reconnect with his or her faith, with God, or with a sense of community after a difficult loss, disappointment or other heartache. I always find the service to be beautiful, meaningful and uplifting. It’s been an extraordinary privilege and responsibility to partner with all of you in helping to serve the individuals and families in our community for over three decades. 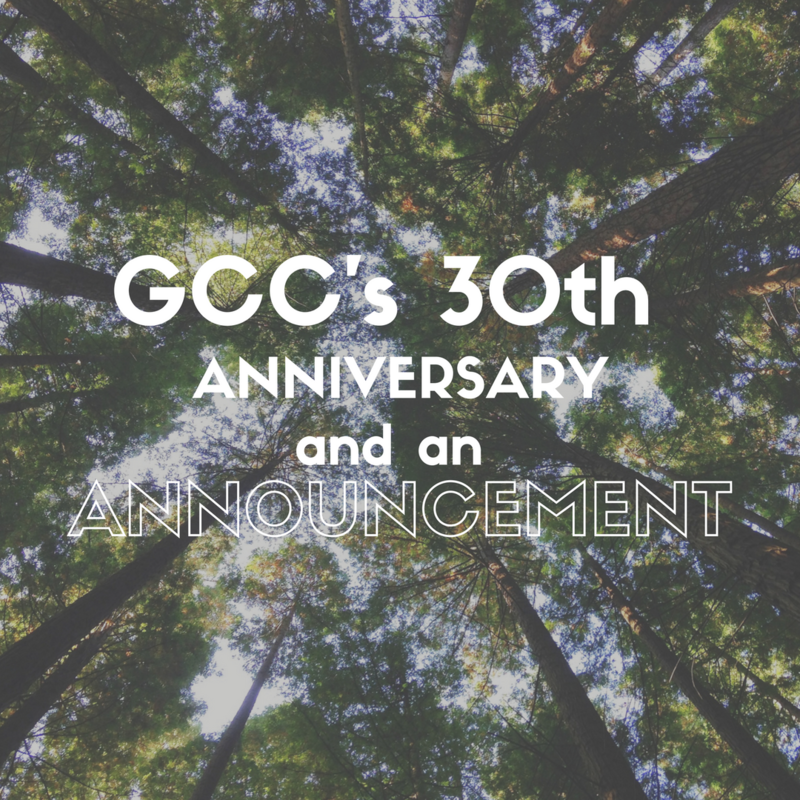 2016 is the year we celebrate our 30th year as Gurnee Counseling Center. We’ve seen the tremendous growth of this community – Gurnee and Lake County – and have been honored to be able to make a significant contribution to the mental health and well-being of the people who live here. We’ve been amazed to see – literally – generations of families come through our doors. We are in awe of the courage, resilience and the accomplishments of the people who come here for help: men, women, children and families who repair their relationships, overcome losses, trauma, addictions, and learn to live healthfully and to laugh again. What we know is that we couldn’t have accomplished this alone. Only in partnership and collaboration with you could this have happened. We are so appreciative of your trust and support over the years. We know that we can’t just rest; we know that there’s important work ahead. To that end, we are very proud to let you know of a change in leadership and ownership at Gurnee Counseling Center. As of October 1st, Christine Taylor, LCPC, has accepted the responsibility of carrying on the tradition of quality care for our community. She has been with us for four years, has already taken an active role in leadership within the organization, and has our complete confidence in steering Gurnee Counseling Center into the future. We (Phil and Nancy) intend to continue to serve in a clinical and consultative capacity to ensure continuity of care and a seamless transition. We couldn’t be any more excited about the future of Gurnee Counseling Center. It’s no secret that people often struggle with change. Leaving behind what is familiar and venturing into unknown territory can be scary. The stage of change model, developed by James Prochaska and Carlo DiClemente in the 1970s, indicates that there are five stages that one goes through when making a significant change. Preparation­ I’ve made up my mind I want to change. What’s next? What are some goals? Action­ Doing what needs to be done to begin to change. Maintenance­ A continual action that keeps me moving forward. As a therapist, I see many people stuck in the contemplation stage of change. I think of this as the “should I or shouldn’t I” stage of making a decision. This is commonly called ambivalence. When you are ambivalent, you see positives and negatives for both making a change and not changing. Below is a helpful tool that helps you look at your reasons for changing, and your reasons for not making a change. Once this ambivalence is resolved or its power decreased, great growth can be made. Aside from this chart, to move out of the contemplation stage and into preparation, it helps to ask yourself these questions. “Readiness” is about time. Have I committed to doing this now? Do I still have excuses about why I should wait, and are these valid? The truth is that sometimes, people never really feel “ready.” If you don’t feel ready, ask yourself when you WILL be ready. If you don’t have a clear and concrete answer, then this is a good indicator to just do it now. Am I able? Able is about resources. What do I need to successfully do this? Who can and will be likely to help me? What obstacles might stand in my way? Am I willing? Willing is about motivation. How much work will I put into making this change? Do I have a plan that is both effective and realistic? How will I maintain a positive attitude? Most people have struggled with ambivalence and uncertainty at some point in their life. Sometimes people have unhelpful beliefs about themselves, others, and the world that keep them stuck. Often these beliefs are so deep­seated that they are outside our awareness, and they go unchallenged. Great growth can occur with people who challenge themselves and their old beliefs. If you would like to further discuss making a change in your life, contact Laura Novak, LCSW, CADC at (847) 336-5621 x151. Six years ago our oldest, Gina, went off to college among the Minnesota bluffs of the Mississippi River. When she chose Winona State, I was reminded of the comment someone had made about finding a wedding dress: when it’s the right one, you’ll feel it. After several road trips to try on universities, Gina had that feeling about Winona State. We’d spent a morning with the admissions counselor, and after a tour of the campus, Gina turned to me on the quad with a smile and a glow in her face that will be etched in my mind forever – she’d found her fit. On the day Gina packed to leave for school, Jay and I slipped out to the Adirondack chairs in the backyard and began to grieve the leaving of our energetic, cheerful daughter. We talked as if a chunk of the sun was disappearing and we couldn’t imagine how our family would get along without it. There we sat, looking back on her childhood, regretting not travelling to all the places we would have liked, not teaching her all the things that suddenly felt important in a way they hadn’t before. We felt cheated. There hadn’t been enough time to accomplish all of that. Our hearts were screaming out—we needed more time. Then it hit me; we’d done a fine job of preparing Gina for the world. And we actually had taken her on many memorable vacations. We’d given much thought to what behavior we modeled for her and what experiences we exposed her to. And we had fun, lots of it. Did we really have much to regret about how we brought her up? But that was exactly the point: the everyday moments of parenting defined us. Gina and Lexi gave us purpose and joy, and those childrearing years were beginning to end. We never failed to savor them, and now Gina, and later Lexi, would be spending more moments away from us than with us. I’ve been thinking back on that day ever since I received a card from my college pal, Mary. Her eldest is heading off to college, her middle child has just gotten a driver’s license and her youngest is working towards becoming an Eagle Scout. The weight of her son leaving home and her younger kids reaching milestones that mark their progress towards adulthood has touched a tender spot in her heart. She mentioned trying to see the “happy” in all this, knowing I’ve always stressed enjoying the moment since children grow so fast. I want to assure her that she can relax and have fun now because life will continue to be full and rich even after her children leave home. But I share that tender spot and know I couldn’t be convinced of that until I experienced it for myself. On that day six years ago, before heading back inside to help Gina, Jay and I quit distracting ourselves with judging whether we’d done a good enough job parenting. Instead we showed compassion for one another as we began to navigate this next stage of our married life. And somewhere deep down I felt confident that our love for one another would carry us. It would expand to fit the everyday nooks and crannies that would be left vacant as our first born headed off to college. Later that evening several friends, whose kids would also be leaving for school, came to sit with me at my kitchen table, supporting me, as I was the first. We laughed and cried, and again I experienced a tinge of that feeling, that sense that even while life would be different, it could be fulfilling in a new way. And there was always that image of Gina’s face, illuminated with the promise of exciting endeavors beyond her childhood home, to remind me of exactly what we’d been preparing her for all along, and life was as it should be. As your child moves through elementary, middle, and high school they will need a strong support system. Throughout my 9 years as a school social worker, I’ve worked with many parents who struggle with how much or how little they should be involved in their child’s education. Below are some tips on ways in which you can get involved and ensure your child has a great year. Monitor your child’s grades–from a distance! The last thing your son or daughter wants is to have a conversation with you every day about every single assignment and grade. You also don’t want to stay completely out of the picture only to find out after it’s too late your child has done poorly. I often suggest that parents have a weekly “meeting” every Friday with their child about the progress they made throughout the week. Discuss any missing assignments or low grades. Brainstorm with your child ways in which they can make improvements over the next week. If necessary, you may choose to give consequences for intentional mistakes–not completing homework or failing to study for a big test resulting in a bad grade may be grounds for the loss of some privileges. Your child’s teachers will be your first line of defense when you have concerns about their performance in school; whether it be academic, social, emotional, or behavioral. I always appreciate when parents send me an introductory email letting me know what their child has struggled with in the past, what their strengths are and how I can best reach them. Emails have become the preferred method of communication among many school staff so don’t hesitate to use it. That being said though, teachers are often more than happy to set up a meeting or talk with you over the phone about any concerns you are having about your child. Be sure to also attend all open houses or parent-teacher conferences if your schedule allows it. A face to face meeting can be valuable time for both the parent and teacher than can not be accomplished through email or phone calls. There may be times when your your child is struggling and either doesn’t want to ask for help, or doesn’t know how to. While contacting your child’s teachers may be your first step, there are many other professionals also available to support student needs and address parent concerns. Guidance counselors, school social workers, deans, and school psychologists are just a few of the staff members that can help. They can connect you with additional academic support, address bullying, provide counseling, or connect your with resources in the community that may address your child’s individual needs. There are many ways to ensure your child has a happy and productive school year. If you are struggling with how to best support your child in school, the staff at Gurnee Counseling Center can help. Contact us at (847) 336-5621 for more information. Clients often come to me with concerns regarding a family member’s substance use. It can be challenging to live with or to set boundaries with someone in the midst of an addiction. Loved ones are often confused, frustrated, and unsure how to respond to addictive behaviors. While not easy, there are things to consider and some concrete steps you can take. Sometimes, when you begin making changes in your life and set boundaries with the person abusing substances, they as well are encouraged to get the help they truly need. Increase your awareness of anything you may do that keeps your loved one from facing the consequences of their addiction. These are enabling behaviors. Some examples would be repeatedly bailing your loved one out of jail, calling in sick to work for them, buying them alcohol or drugs, drinking and/or using drugs with them, listening to their excuses to drink or use, etc. Expect that your loved one may protest when you stop some of these behaviors, but consider that facing consequences may be a big motivator for change. Also, if you set a limit with your addicted family member, it is important to follow through so they know you mean it. If you want to help financially and you have the resources to do so, consider paying for their treatment, and possibly, basic needs. Giving cash or paying for unnecessary items is likely to prevent your loved one from dealing with the reality of their situation. I do not recommend couples counseling when one partner is active in an addiction, especially when an addicted partner doesn’t believe their use is a problem. The reason for this is partly because it is important for the non-addicted partner to realize they cannot force a person to quit, and they cannot control that person. Through individual work they can learn helpful techniques in setting boundaries and can work on themselves. When someone you love has an addiction, you may feel helpless, sad, or angry. All these feelings and more are common. If you are used to “over-doing” for your loved one, expect that some of these new behaviors may feel foreign to you, or perhaps even harsh. It is important for you to explore how you can truly help your loved one while setting healthy boundaries and also taking care of yourself. If you have a loved one with an addiction and would like to set up an appointment, contact Laura Novak, LCSW, CADC at 847-336-5621 x151. In my work as a therapist, I enjoy using various assessments and personality tests that can aid clients in their journey to self-awareness and personal growth. The Enneagram is a personal favorite of mine and can be a great tool to help you delve into a deep understanding of yourself. The enneagram helps us understand our compulsive, unconscious drives. Anyone that wonders, “why do I keep doing the same thing over and over again,” and all of us wonder that time to time, could benefit from the wisdom of the enneagram. The Enneagram takes into account how various unconscious messages heard during childhood may affect your personality. In our childhood, we begin to develop our way of relating to the world, based on what our experiences were as well as our own natural temperament. Then patterns develop, and sometimes certain patterns don’t work for us. The Enneagram also helps us further understand our strengths and weaknesses. There are nine different personality types, and with each type, there is an explanation of how that type functions at a healthy level, and average level, and an unhealthy level. Here is another website about the enneagram, as well as another enneagram test, you might find helpful – https://www.enneagraminstitute.com. Often I meet parents who are worried, sad, and even confused about their child’s mood. They feel like they can’t keep up, or they don’t understand where the mood changes are coming from. This leads to more frustration and feeling helpless. A good place for families to start is with mood tracking. Mood tracking is simply keeping a record of the child’s mood in the form of a word, journal entry, number, or other standardized system. Each child is different. Some may need to track their mood a few times a day – morning, afternoon, and night. Others can track just once per day. The idea is to help the child communicate how they’re feeling to their parents and other professionals (school social worker, psychiatrist, therapist, etc.). It seems best to check in at least once per day, and review over the course of a week. You may notice patterns in mood, hopefully helping to pinpoint difficult triggers. This allows the child to feel more understood and helps parents feel more connected and helpful in their child’s treatment. Understanding one another brings peace and closeness. Many kids enjoy tracking on their phone, whether it be by using an app or in a note format. Using colorful journals or paper to track can be helpful for those who like to use artistic expression. Mood tracking is particularly helpful with kids experiencing intense emotions, suicidal ideation, or those who are struggling with self-harm, but it can be a great tool for any family. This can be handy for kids who are opening up to a professional, but struggle to open up to their parents, or vise-versa. It can also be helpful when beginning with a new professional. I encourage parents to work closely with the professionals in their child or adolescent’s life. Be an active part of their treatment, because the true change happens outside of the therapy room. Share the best and worst part of your day. This is good to involve the whole family at the dinner table. Help the child create a “1-10 Scale of (name).” Have them agree to share more if their daily number is below a 5. Using a number helps parents get an idea of where their child is at emotionally, but gives the child space. Example provided below. Utilize mood tracking apps for those with phone or tablet access. Examples include: Moodlytics, In Flow, iMoodJournal, Happier, and Optimism. Encourage children to create a photo diary with captions. Photos can be taken by the child or found on the internet and should represent how they feel. Creating an online forum just for mood tracking that parents and professionals can log on to monitor. Help your child understand that mood tracking helps parents and professionals help them. If they understand the benefit, they are more likely to be open and honest. Start with a list of emotions to encourage proper usage. Are you mad, or are you actually disappointed? Are you annoyed or instead confused? Focus on responding appropriately: Use empathy, don’t make assumptions, ask how to help instead of assuming, show appreciation, and express pride in how your child is doing. Work together to pick the best time to check in each day. For example, a quick chat after dinner may be more ideal than while rushing to sports practice. Ultimately, encourage kids to be creative. The more they make it their own, the more helpful it will be. If you’d like to learn more about mood tracking, or you think your child or adolescent would benefit from mood tracking, contact Christine Taylor, LCPC at (847) 336-5621 x123. Ariele is the embodiment of motion – graceful, focused, and determined – she brings a new dimension of skills to the Gurnee family. A registered dance/movement therapist, licensed professional counselor, she is also a yoga and prenatal yoga teacher. Through her practice, Ariele guides her clients to try on new qualities of actions and behaviors and learn to move in ways that are authentic to their own feelings. She works with children from age four, adolescents and adults with a focus on depression, anxiety and body/food issues. Her approach is holistic. She incorporates all aspects of body, mind, diet, activity level, relationships, and environment into her wellness plans. Mindfulness, which includes breath work and meditation, and cognitive behavior therapy are additional components to her counseling. Ariele as worked in day treatment programs, in patient psychiatric units and private practice for over two years. Outside her work, she practices yoga on a daily basis. In her spare time, she loves arts and crafts projects, and restoring old furniture. To schedule an appointment with Ariele, please contact our front office at (847) 336-5621.